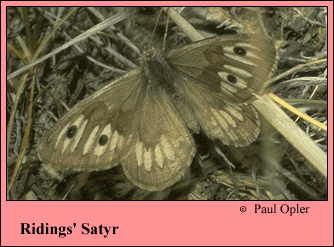 Identification: Upperside is gray with cream-colored patches across both wings; forewing has 2 black spots. 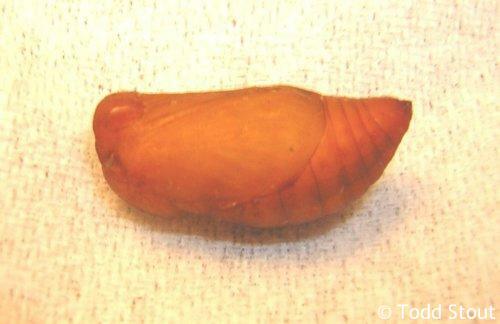 Underside is similar but lighter. Life History: Males perch in the morning on small hills or mesas to seek females. Eggs are laid singly at the top of blue grama grass or on other plants. 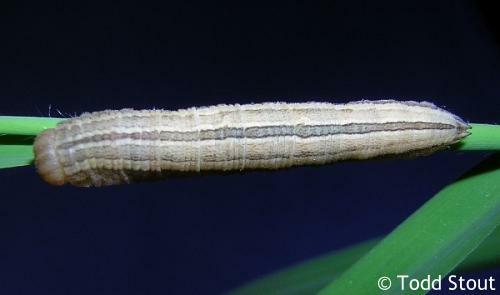 Caterpillars eat grass blades and pupate underground. Third- and fourth-stage caterpillars hibernate. Biennial in Tuolumne County, California. Caterpillar Hosts: Blue grama grass (Bouteloua gracilis). Adult Food: When adults feed, which is infrequently, they favor nectar of yellow composites. Habitat: Short-grass prairie, intermountain areas, and grasslands with some areas of bare soil. Range: Southern Alberta east to southwest Manitoba, south to central Arizona and central New Mexico, west to eastern California.